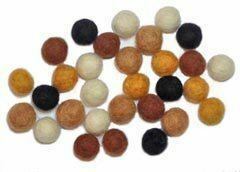 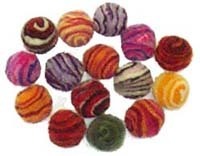 Here's one of the best selection of beads and prices on the web. 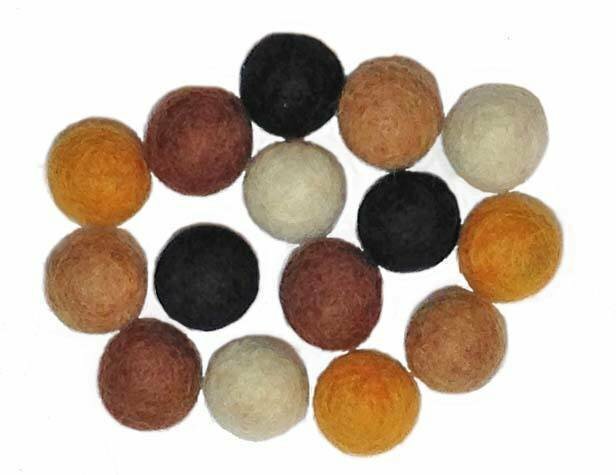 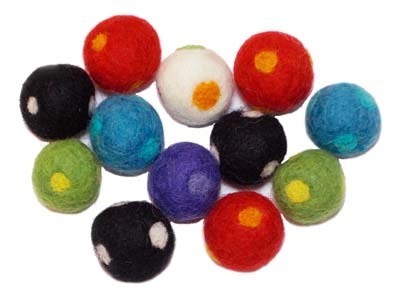 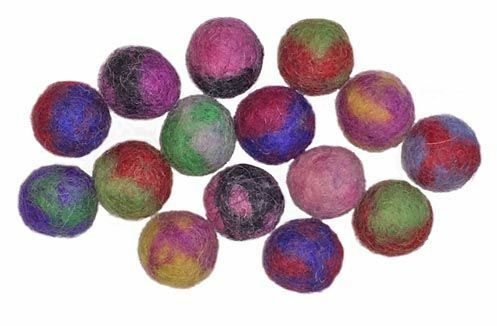 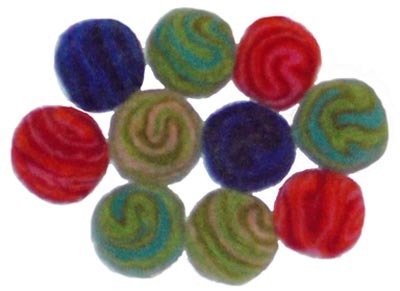 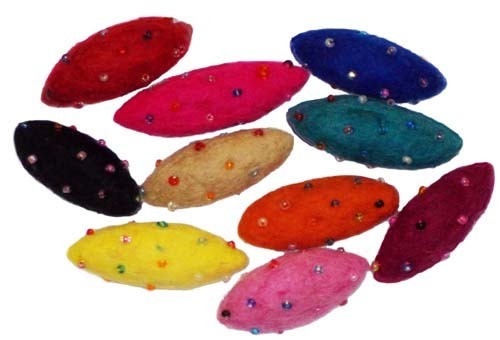 solid colors, beaded felt beads, dotted felt beads, swirl stripes and two tone wool felt beads. 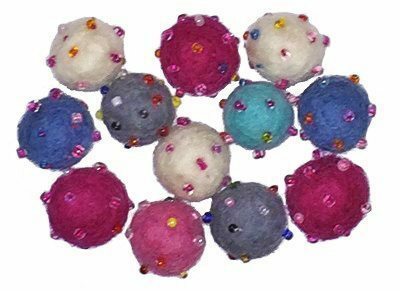 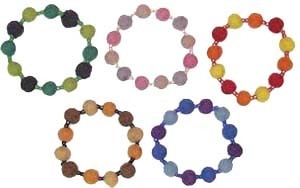 Wool felt bead bracelet kits.